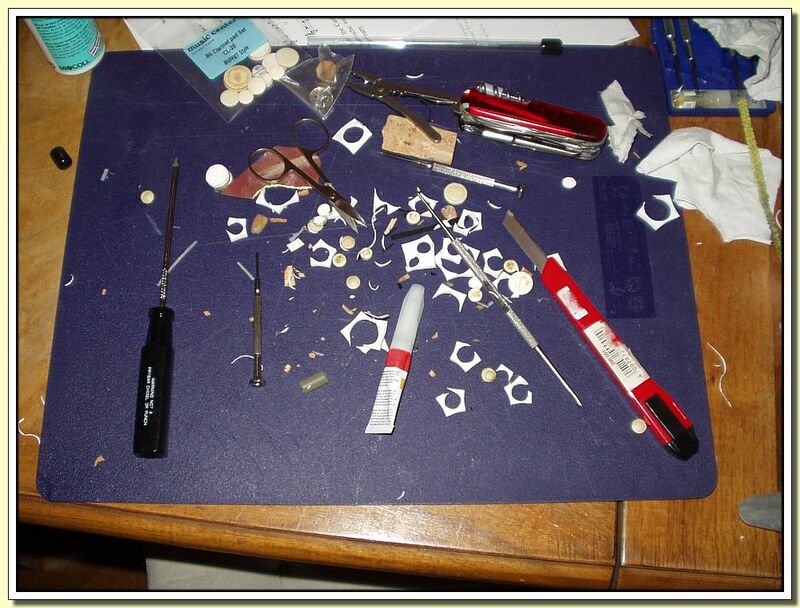 This is how the table in the living room looks after a repad of yet another one of my clarinets. Against my better judgement I sometimes buy a clunker off That Auction Site, give it an overhaul (with reason) and then decide what to keep and what to sell. This time it was a plastic Eb soprano that needed new pads which - for plastic instruments at least - I make myself out of EVA "foam rubber". After a while that material gets all charged with static electricity and the debris keep clinging everywhere.